Welcome all my new facebook and pinterest followers. I am glad you are here. This is a dish that I made awhile back and just have not posted yet. 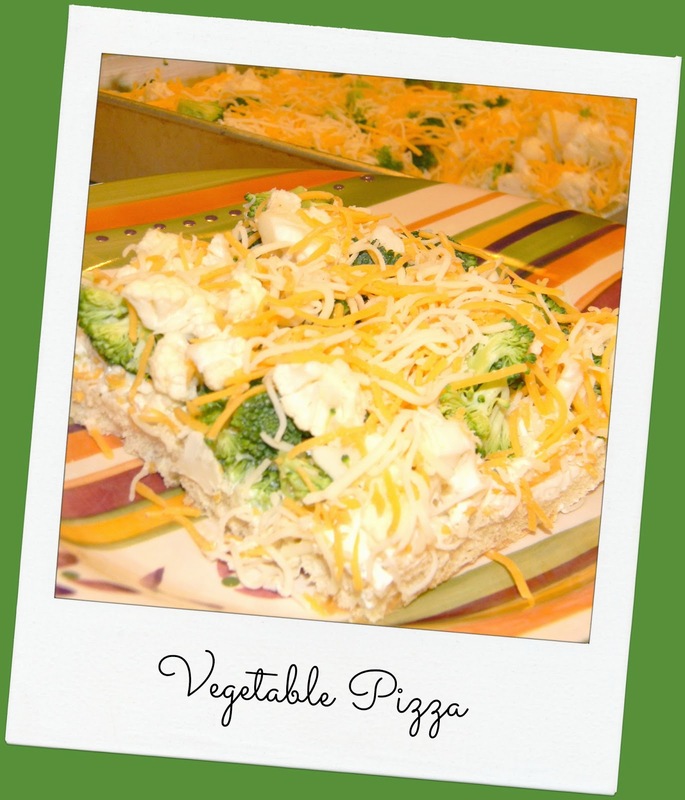 The vegetable pizza is a lunch that my family likes to have on the weekend. The crust is buttery crescent rolls, the "sauce" is a ranch dressing then you layer it with all the goodies. My family likes cauliflower and broccoli then sprinkle it with cheese. You can add any vegetable toppings that you like.